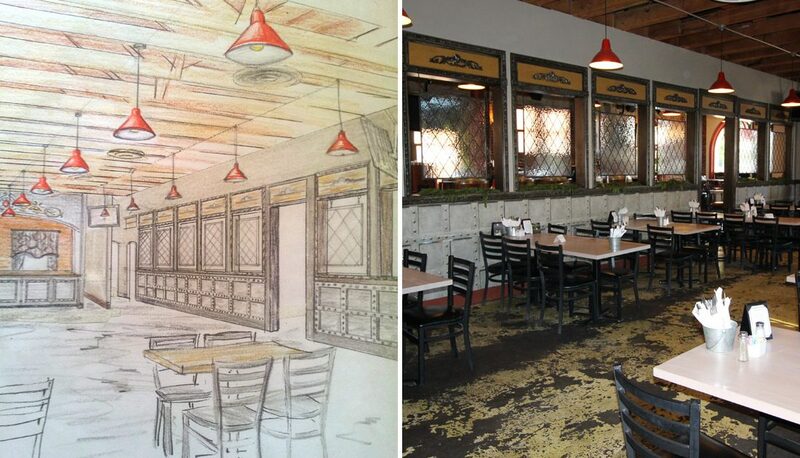 We were thrilled to be asked by Bob and Laurie to design and build an update to their historic restaurant. 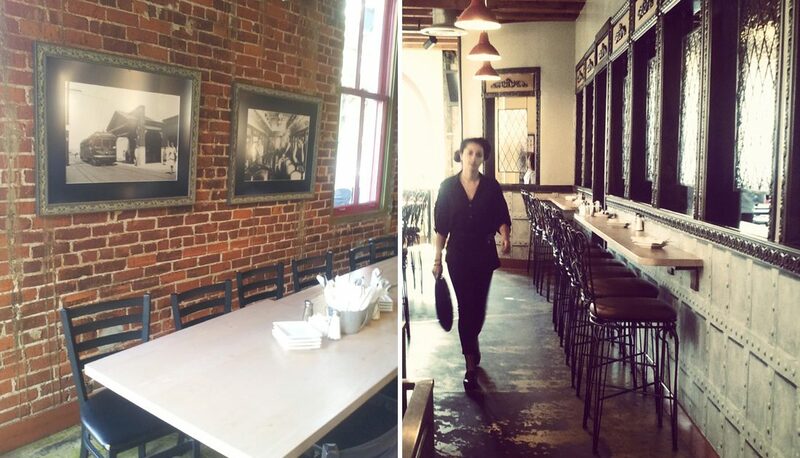 The restaurant had beautiful architectural features with brick and high vaulted ceilings and exposed wood architecture, but the space and walls inside were sparse and lacked the connection to the rich materials from the past. 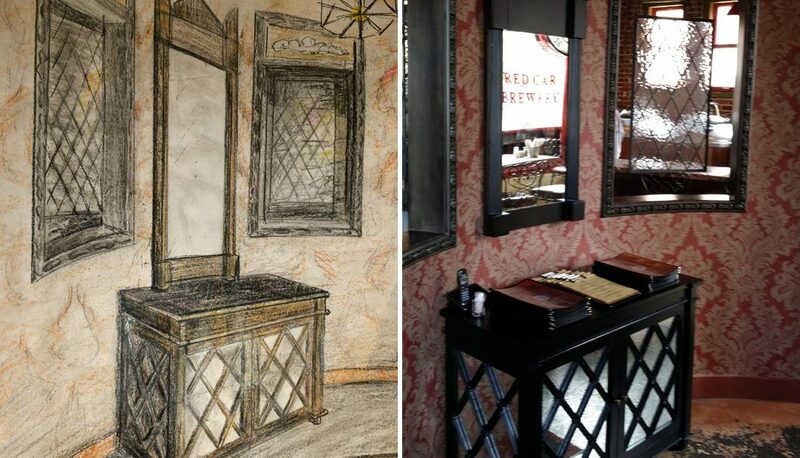 Keeping with the historic red car theme of the brewery we concentrated on changing the main center wall from a plain white to a luxe paneled look recreating the feel of the early 1900s, when the red cars where transporting passengers all over California. We custom built millwork, window casings, ledges and architecture panels around and above all the sparse drywalled window openings along the center wall. 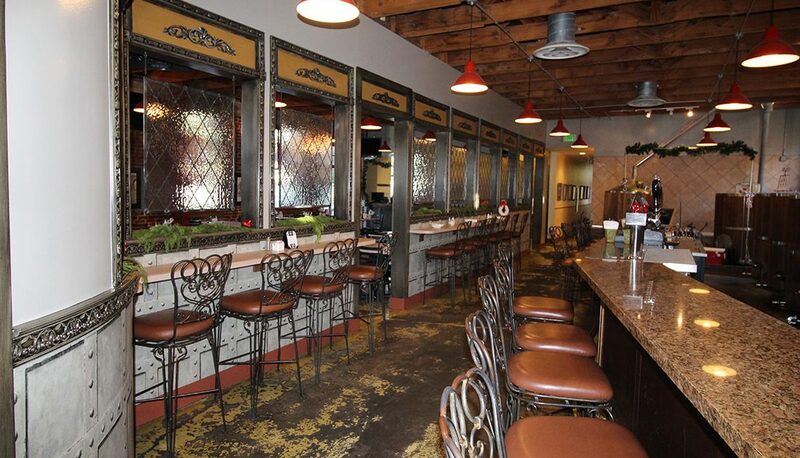 The owners hoped to make the dining and bar areas a bit more private from each other without having the feeling of being closed off, so we designed custom antique glass panels to hang and float inside the windows. 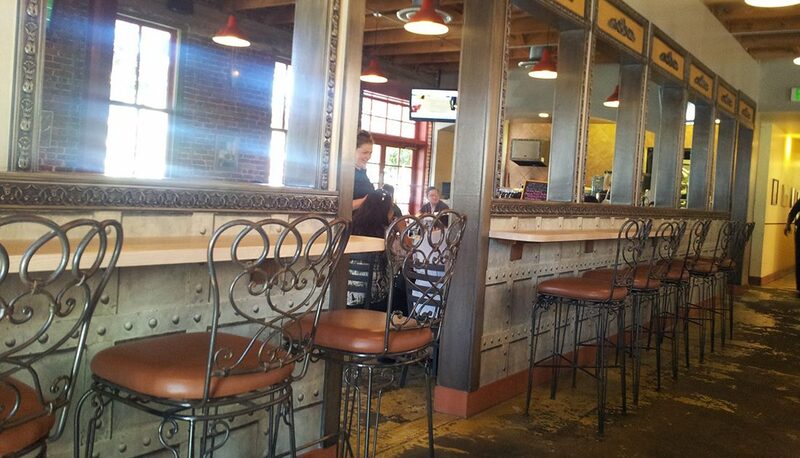 This accentuated the natural light and greatly improved the acoustics. A color palette of deep gunmetal greys were used throughout and paired with soft wood tones like those used for all the new custom solid wood tables. In the entry we used a gorgeous red damask wallpaper to bring elegance to the space and a beautiful mirrored chest, antiqued wall mirror and pendant were purchased from Noir Furniture LA to create a welcoming and edgy impact. 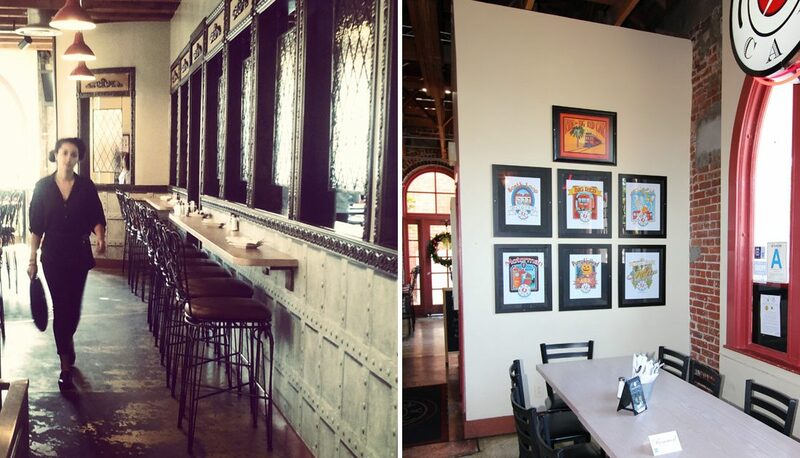 We reframed, matted and curated the existing artwork around the restaurant to create a visual flow guiding the eye away from the kitchen located at the back of the restaurant. And created custom wall plaques to showcase the owner’s historic family lineage of brewers who farmed and milled hops in Sonoma at the turn of the century.